I love hot chocolate ☕️ on a grey and cold day. And yes vegan please!! So here’s my recipe, simple but delicious. I love oats so I’m using oat milk but you can also use any other dairy-free milk alternative. The pumpkin spice is a blend of sweet spices like ginger, cinnamon, cloves and nutmeg. 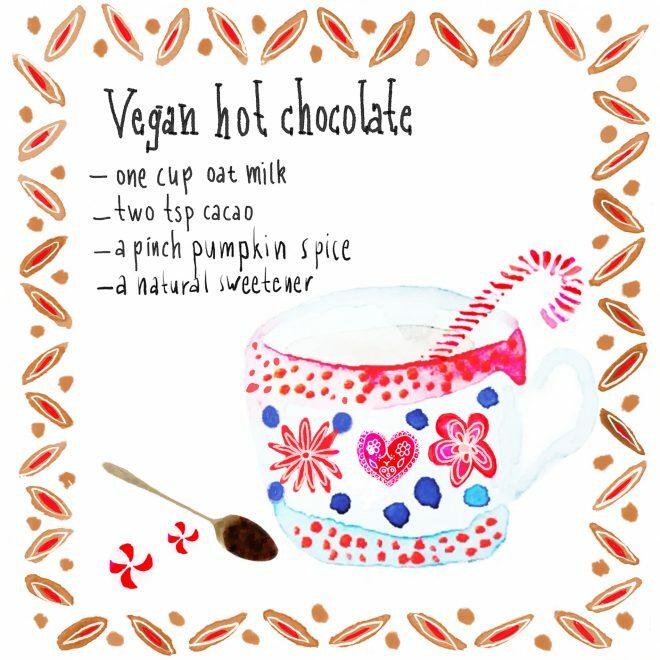 Talking about hot chocolate, Rebecca from @plants_are_magic posted a delicious recipe using plant based ingredients.